Our roadside service can assist anyone with a diesel engine. Whether you are in a small car or a large semi-truck, it can happen to anyone. You can be driving down the road and then, suddenly, be stuck by the side of it! While your average vehicle driver can call almost anyone for roadside service, when you are in a semi-truck or other type of diesel engine vehicle, you need a diesel expert for your roadside service. 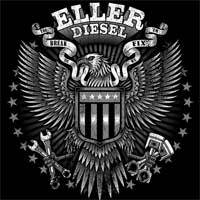 Here in the Salisbury, North Carolina area, diesel roadside service is only one phone call away when you call us at Eller Diesel Truck & Trailer Repair! When you contact us for roadside service, you’ll rest assured knowing that not only can we handle your larger-than-life diesel engines for any towing that you might need, but we will also be able to take you to a place that can properly handle your diesel engine issues. Our repair shop is fully equipped to handle diesel engine repairs of any kind, whether they be minor or major. Furthermore, because we have been working on diesel engines for a few decades now, you can feel confident in the work we do. We understand that not all roadside service calls are going to be placed during regular business hours. That is why we offer our roadside service not only during daylight hours, but during all times of the day and night. Our emergency roadside service is available to you 24/7, so you can get back on your way as soon as possible. For more information about our roadside services or other diesel services, give us a call today.